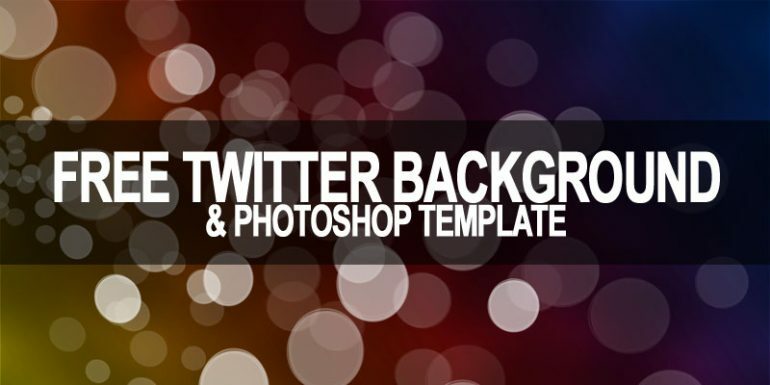 We created this Twitter background with the Photoshop template so you can customize it to whatever you want. If you just want to upload it we saved a jpeg version of it too. The key to making a Twitter background is making sure it will fit on just about any monitor a person can have. From viewing it on their iPhone to viewing it on a large 27″ monitor, it must be large enough to either fill the screen or fade to a solid color so there are no defining lines. This Twitter background is 2560px x 1600px which should be large enough for any screen. If you want to customize this and add your logo and information to the left side of this background, start in the top left corner and keep it inside the dimensions of about 200px wide by 700px tall.